A Trendy Life. 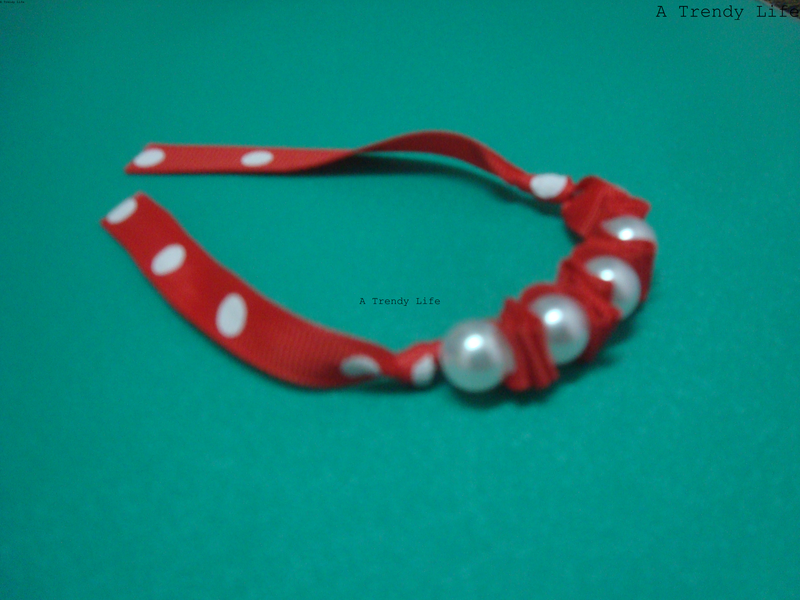 : DIY: Ribbon Bracelets. This season's biggest trend is layering many bracelets together.When you're mixing your bracelets you can layer same metal family,or same color family.But mixing silver and gold together is a rocking trend this time. When you mix your bracelets you can include some ribbon bracelets which will definitely enhance the look.These ribbon bracelets are very easy to make and really cheap compared with other bracelets. 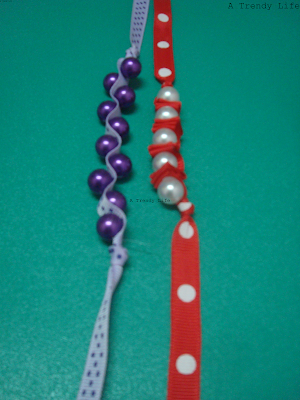 These are two bracelets I made using ribbon and pearls. To make a ribbon bracelet you will need. Start threading the needle through the center of the ribbon.Make sure you leave enough length to tie up a bow around your wrist. For the Red Bracelet fold the ribbon 2 or 3 times after inserting a pearl through the needle then stitch through the center of the folded ribbon.Here I used the elastic thread since this bracelet cover only half of my wrist.So I can stretch a bit.If you're going to make this for your full wrist then you can use normal silk thread. 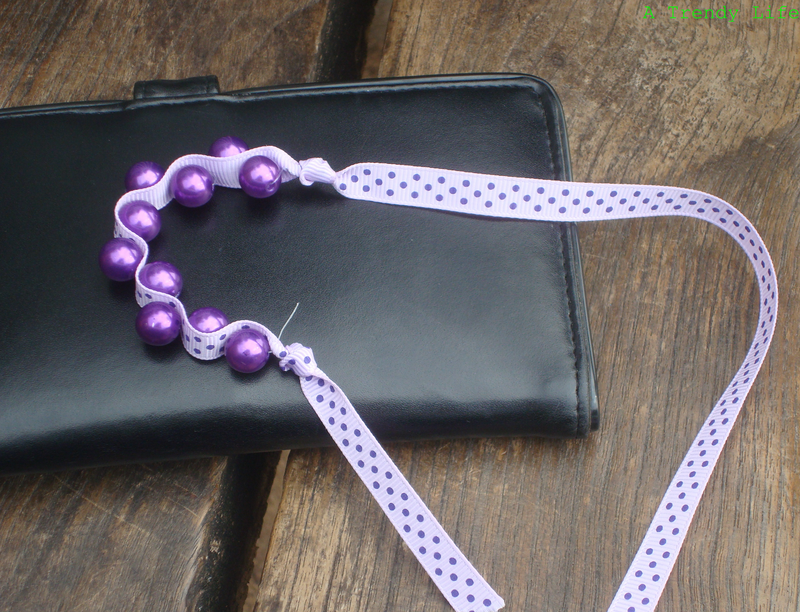 For the Purple Bracelet thread the pearls on either side of the ribbon.Make sure you always stitch through the center of the ribbon. Finish it with a knot in both the ends. 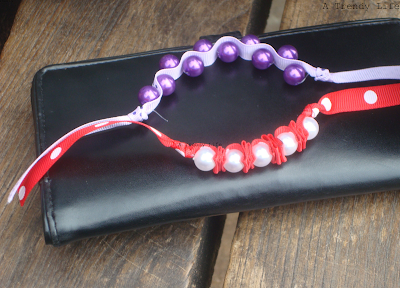 Now you can layer your bracelets more colorfully.